In summers, a face wash is perhaps the best friend for your skin. 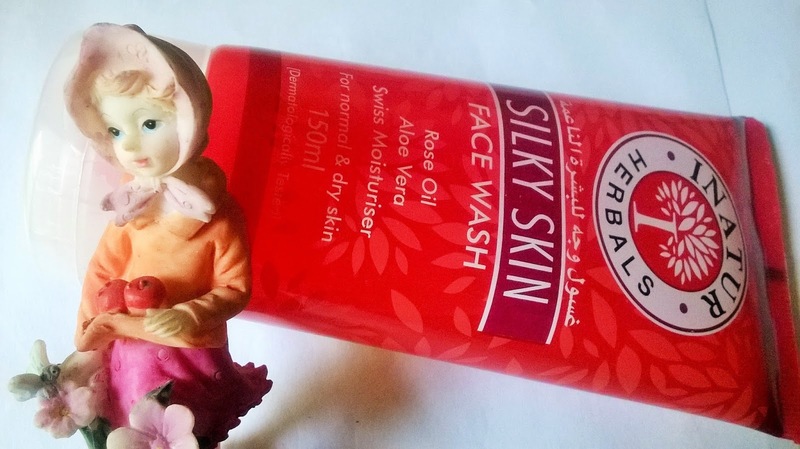 I have been using a multiple of face washes and today I will review Inatur Herbals Silky Skin Face Wash. It is an innovative product developed by Inatur that is specially formulated to cleanse the skin while gently preserving its moisture balance. It helps the skin to stay hydrated and fresh. 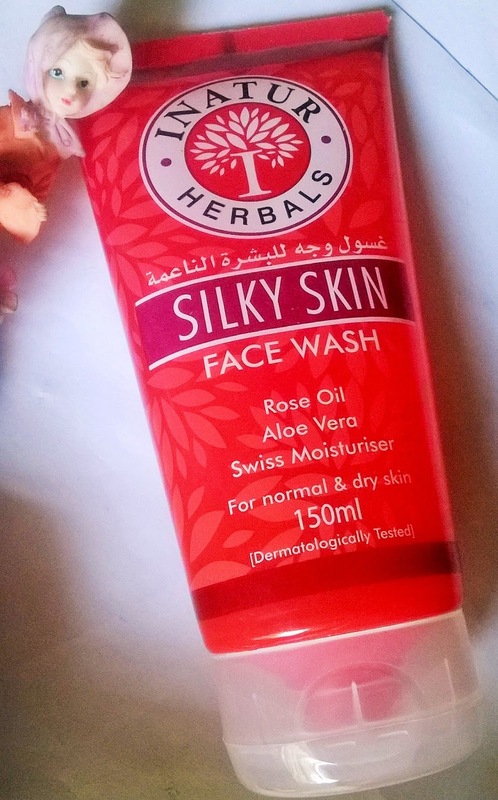 It contains Rose Oil- that nourishes and rejuvenates the skin & also reduces fine lines, Aloe Vera- helps treat sunburn, delays visible signs of ageing, Swiss Moisturizers- that prevent dryness and Microspheres- that help to gently cleanse and exfoliate the skin. 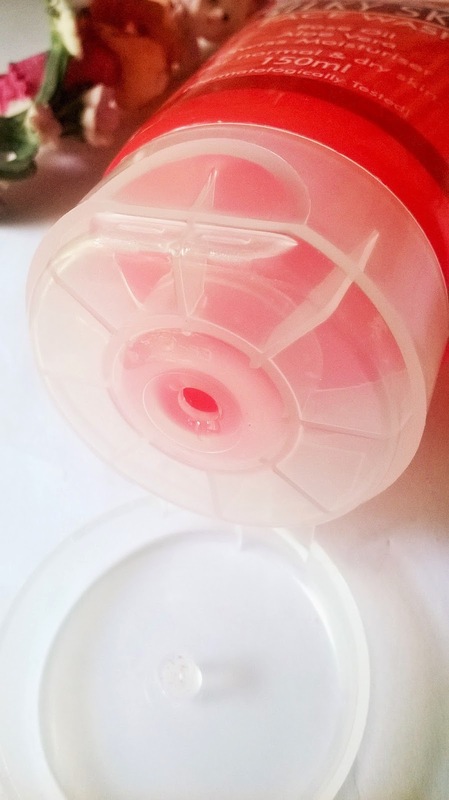 Packaging: Inatur Herbals Silky Skin Face Wash comes in a red coloured translucent tube with a transparent white flip-open cover. 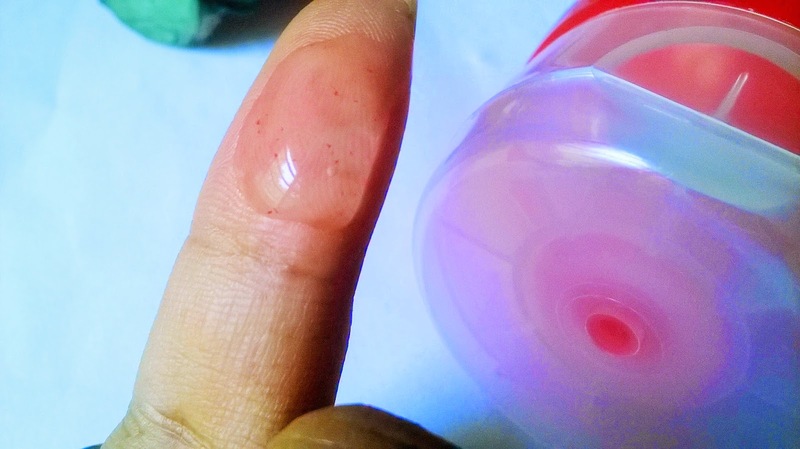 Product: The face wash is a transparent pinkish gel with very minute red beads and smells heavily of rose oil. 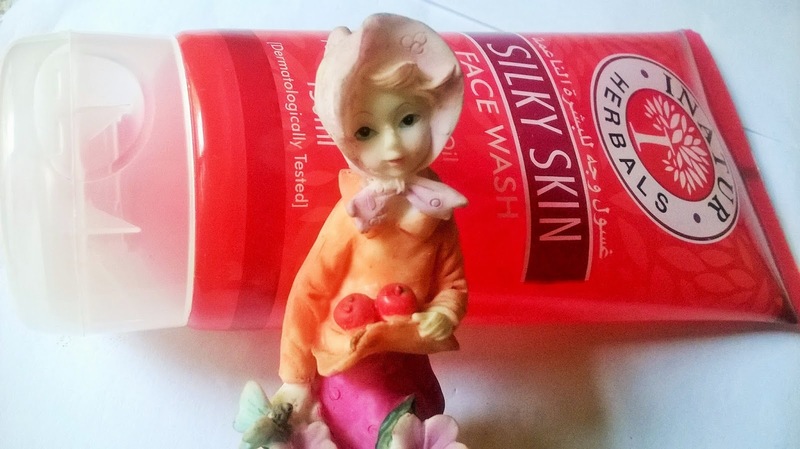 My Experience: Inatur Herbals Silky Skin Face Wash comes in an attractive packaging. The fragrance is nice, that of rose oil and will be liked by those who has a knack for rose fragrances. 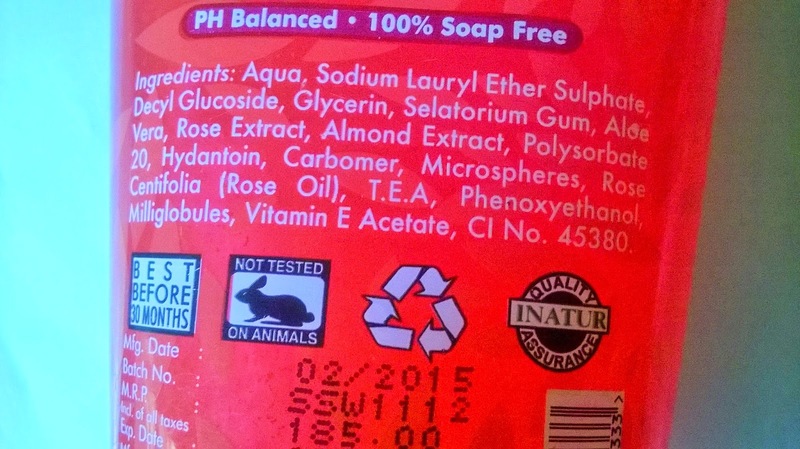 It requires a very small amount of the face wash to clean the entire face and neck. Infused with the rejuvenating properties of rose oil, it makes sure that the skin does not look tired and dull. Aloe vera soothes sun burn and sensitivity of the skin. It can be used as a post sun care product. Swiss moisturizers hydrates the skin and leaves it feeling fresh and dewy. The best ingredient is the Microspheres that are very tiny and non-abrasive and gently exfoliates the skin making the complexion brightened and improved. 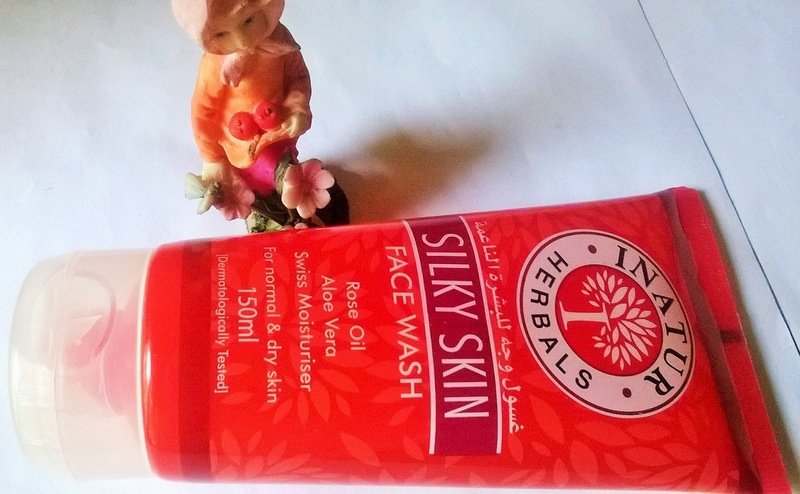 Inatur Herbals Silky Skin Face Wash is a moisturizing face wash that can be used by people with normal to dry skin, and even by those who suffer from issues of sensitivity like excessive sun tan, redness and dullness. 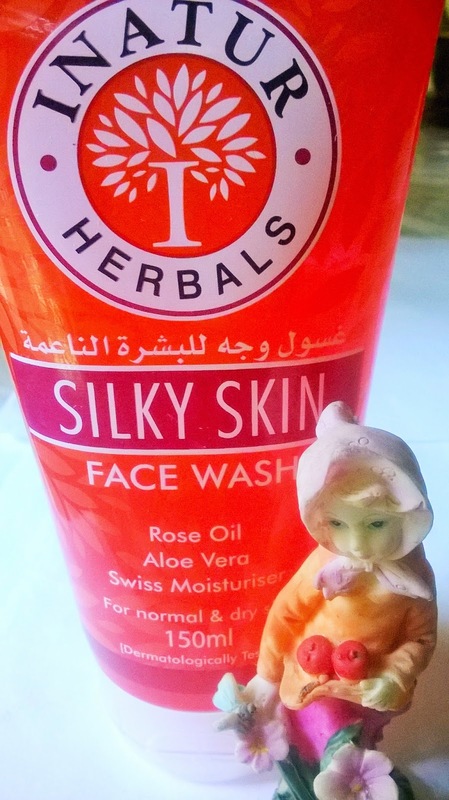 Inatur Herbals Silky Skin Face Wash is one of the most gentle face washes that I have used so far. Inatur Herbals Silky Skin Face Wash is a truly moisturizing face wash, just perfect for normal to dry skin and also for those who suffer from sensitivity of skin.